After an exhausting, but eventful trip, we were happy to see the Texas sign. Now, it’s time to replan our biking adventure – for a time when Missouri won’t get snow storms! Today, we woke to 3 inches of snow in St. Louis so we decided to Uber our way to the train station. We enjoyed a great train ride, but were met with a cold, hilly ride from the train station back to home base. However, we are now done! Today, we made the ride from Jefferson City to Hermann. Well, some of us made the ride. I made the 60 miles in sub 30 degree temperatures, in snow, mud, and wind. My other half hitchhiked the second half of the trip in his Pjs (he forgot pants!). Along the way, I stumbled upon a wild ram and a bald eagle. The rest of the path was devoid of any life: spooky and beautiful. I don’t think I can ever forget today’s ride: the hardest ride of my life. Today, we made the 12 hour drive to Missouri, so we can begin our biking adventure east tomorrow. While today was sunny, tomorrow is going to be a new story…. 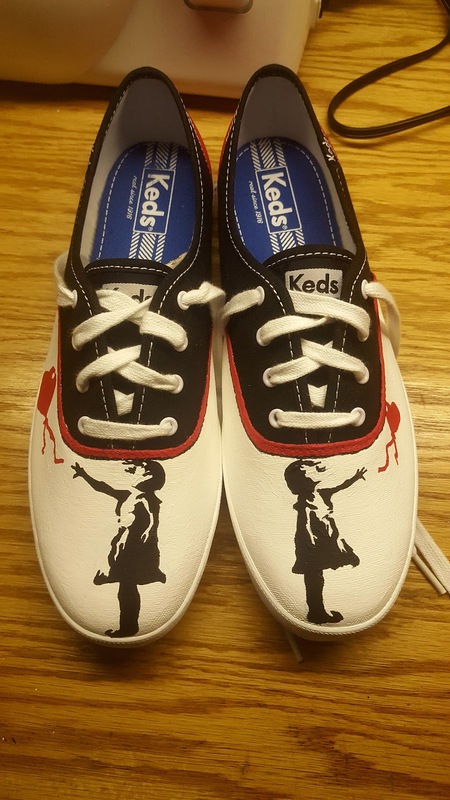 Today, I set out on making a pair of Banksy replica shoes. They turned out nothing like I planned. Perhaps, that is the purpose of art, though. So, today, I’m thankful for the creative journey. Today, I indulged myself by taking a 5 mile brisk walk in the rain. 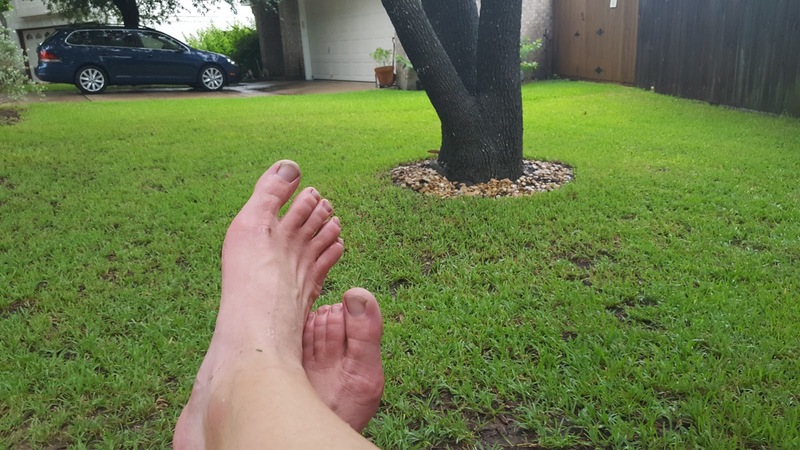 It’s seldom that it rains in Austin in August, much less 4 days in a row and 11 inches! So, I couldn’t pass up the historical moment. And, I’m thankful for that. 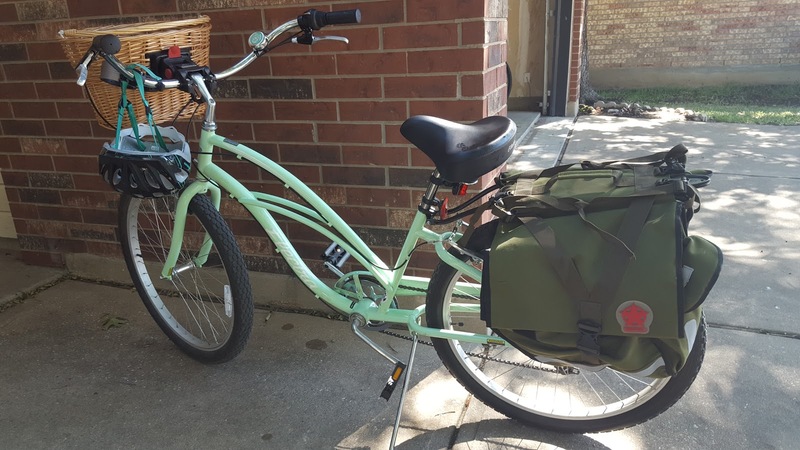 Today, I finally installed my paneers and rack on my cruiser. With several parts on back-order, I had to delay my overhaul of my bike, making it ready for commuting. So, today, I’m thankful for a project completed – even if it took weeks! 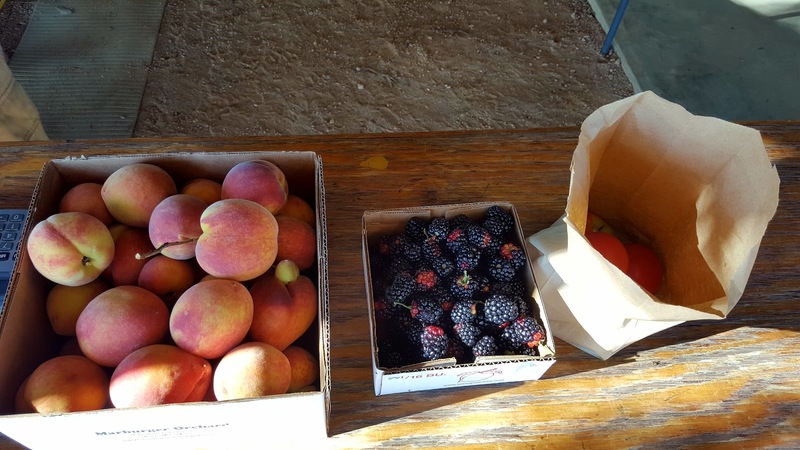 Today, I went peach and blackberry picking for the first time. I left with over 15 pounds of fruit! And, I can’t wait to do it again. Today, I’m thankful for early mornings and fruit.